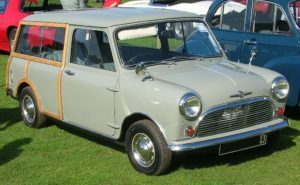 It was back in the late 1950s when the very first Mini car first rolled off of the assembly line in England. Fuel rationing had begun in England and that was the impetus for the creating of this unique and at that time, one of a kind vehicle that was soon to become a British icon. 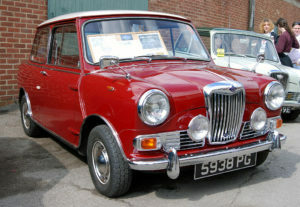 The Mini was produced from 1959 up until as recently as the year 2000 when production was halted by BMC (British Motor Cars) due to lagging sales. It seems that over the years cars buyers had developed a taste for less economical, more racier designed competing foreign car models. However; the company was subsequently sold to BMW in 2001 and production was once again resumed under the new name the BMW Mini. It was the recent spike in fuel prices that sent the price of gasoline soaring up to as much as $5 per gallon in the US that has brought a new generation of car buyers back to rediscover this crown jewel of a car. What set the Mini apart from other small cars such as the VW Beatles which had preceded it, was that the Mini, while being small and fuel efficient was none the less, far more spacious on the inside of the vehicle. This was accomplished by positioning the engine sideways and extending out the wheelbase to the cars edge. While the dimensions of the Mini measured a mere 10’X4’X4′ the goal of the three man design team that created it was that a full 80% of the cars overall space was to delegated to the passengers and their luggage. They in fact did accomplish this goal and thus the reasons for the Minis unique square-ish shape. As designs go, the original Minis were quite basic with those being the Mini Cooper and the Mini Cooper S models. However; over the years new design adaptations and changes let to the rather drab looking Mini morphing into much sportier versions. However; it was the Minis three victories in the Monte Carlo Rally in the 60s that really caught the worlds eye, with regards to its sports potential. 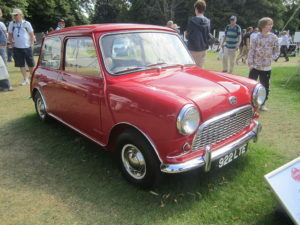 Although the Mini has landed roles in a number of films over the years, it was it’s roles in the recent and wildly popular Austin Powers spy comedies that it is possibly most famous for. Although Austin Powers drove a Jaguar, the Mini was visible in its many cameo appearances filling the streets in the background. In recent years sales of the Mini have again picked up with the help of a few new design changes and it being fitted with a safety airbag to make it compliant with British car standards. Also, four new models have been introduced to the public in recent years as well as a slight adjustment to it’s name from Mini to MINI. Another factor for its resurgence of popularity is the car buying public has grown weary of so called fuel efficient cars that turn out tom be cramped and lacking in style. The Mini however can and always will be counted to carry four passengers around in comfort and style, while providing excellent fuel efficiency and it also sells for a sensible price.